ABS free Dish DTH turns off; Will Reliance Big TV benefit? ABS Free Dish, the free DTH service run by a company of the same name based in Bermuda, has closed its signals in India. The service used to be quite popular in the south and east of India, as the only other free DTH service, DD Free Dish, focused almost exclusively on the Hindi-speaking market of northern India. ABS, on the other hand, used to carry a dozen or more television channels in each of the languages of South India and Bengali. The company has not officially announced the closure, and it is not clear if it is temporary or permanent (We have communicated with ABS, and will update this article as long as they respond). Free DTH operators, who do not charge a subscription amount from end users, depending on the money paid by the channels to cover their expenses. However, the government of India has been trying to close the free DTH service in the country for non-payment of license fees. According to Indian law, any company that wishes to offer DTH services in the country must pay around 10 rupees to the government. They also have to pay around 10% of their total income each year as license fees. That said, under international law, no country can prevent a satellite operator from sending its signals to the country. However, it is possible to prevent local companies, such as television channels, from making agreements with these companies, which would affect their income model. It is also possible that the closure is temporary, for technical reasons. ABS's exit from the scene has left many viewers in South India without a viable free DTH option. The closest thing to "free DTH" for the public in South India is still the Reliance Big TV offer. Under this scheme, customers can pay around Rs 2,250 and receive all free channels on Reliance Big TV for 5 years. As part of the offer, Reliance Big TV also offers free access to all channels (paid and FTA) during the first year. However, the platform has seen a lack of channels in recent months due to the financial difficulties of its former parent, Reliance Communications. The DTH arm of RCom was acquired this year by investors led by Vijender Singh, who is in the process of restarting the service. In addition to Reliance Digital TV, Dish TV also used to have an FTA offer for three years at a price of Rs 1,149 at the beginning of 2017. It is not clear if the scheme is still valid or not. 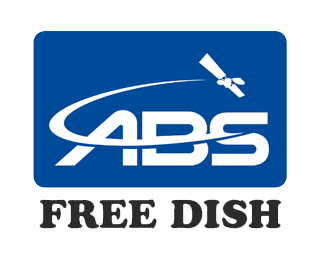 ABS Free Dish Alternative Satellite to get free TV. ABS Free Dish No Signal Now: ABS Satellite Closed its Signals in India ABS Alternative satellites.